Hours of searching through newspaper archives are sometimes rewarded with little gems that make me happy - such as this coloring contest. 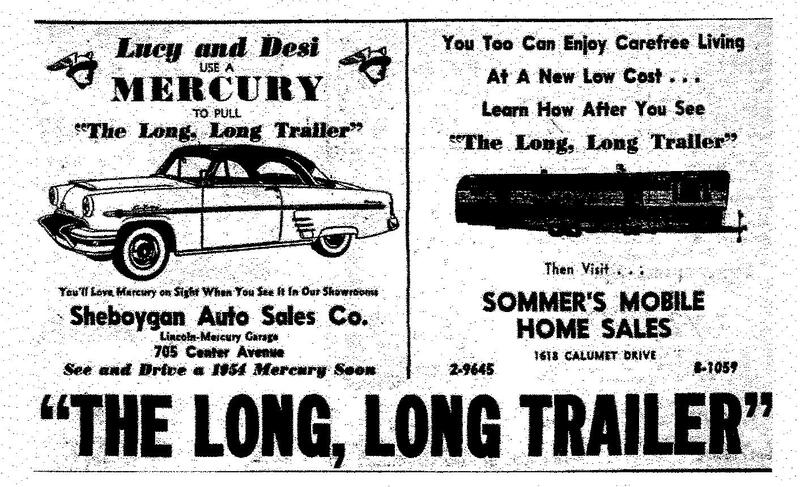 THE LONG, LONG TRAILER Movie coloring contest appeared in a Wisconsin newspaper in February of 1954. The movie starred Lucille Ball, Desi Arnez, Marjorie Main, Keenan Wynn and Gladys Hurlbut. The director was Vincente Minnelli. 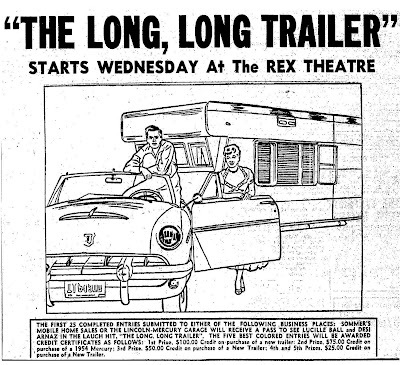 From Leonard Maltin's Movie Guide, "Pleasant vehicle for Lucy and Desi, on honeymoon with cumbersome trailer that creates havoc for the duo. Plenty of slapstick." 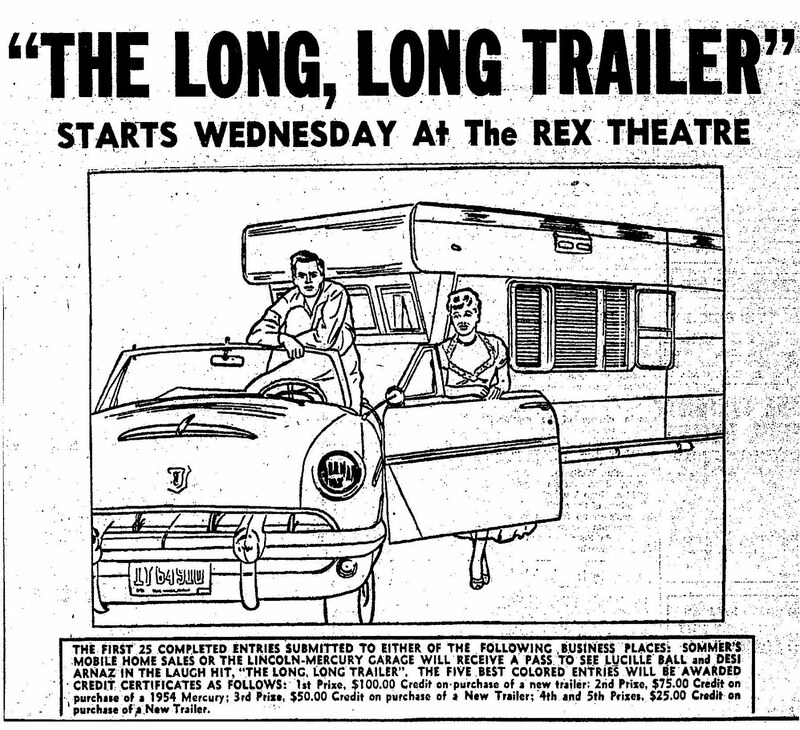 The Trailer (or a facsimile) was parked out in front of our Movie Theatre when I was a kid. I think we could actually go through it. Pretty expensive publicity stunt.